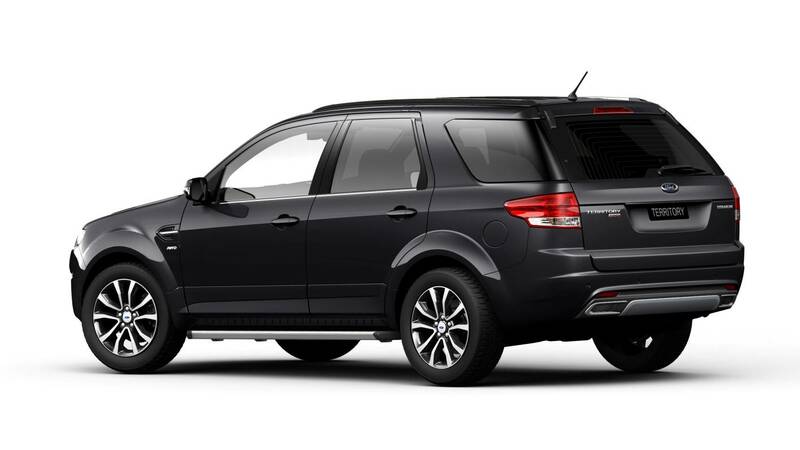 Ford Australia has big plans for later on in the year, including the launch of the new 2015 Ford Territory and Falcon. 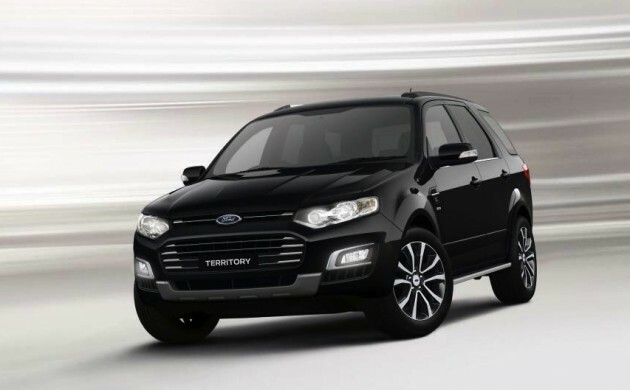 To prepare the market, the company has announced the lineup details for the new Territory. The 2015 Territory will come in three different trim levels, including the TX, TS, and the range-topping Titanium. All will be available in turbo-diesel and petrol forms, and the diesel will be available in rear- and all-wheel drive form across the board. 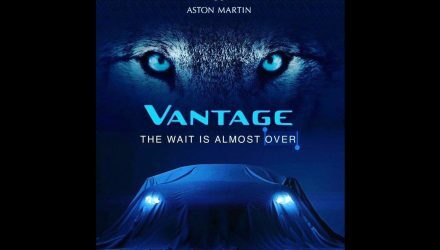 Speaking of which, the 2.7-litre turbo-diesel V6 engine and the 4.0-litre inline six petrol engine will be carried over from the current lineup. This means you’ll be able to opt for either a 140kW/440Nm diesel or the 195kW/391Nm petrol. All will come with a six-speed automatic. 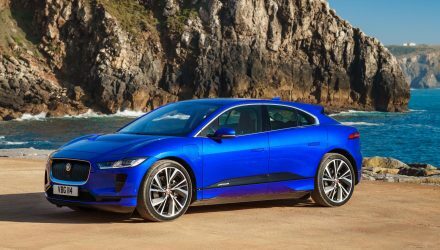 All models also come with significant technology updates, including front and rear parking sensors as standard, a rear-view camera as standard on all models, and a new ‘Human Machine Interface’ in-dash system with SYNC2 technology. 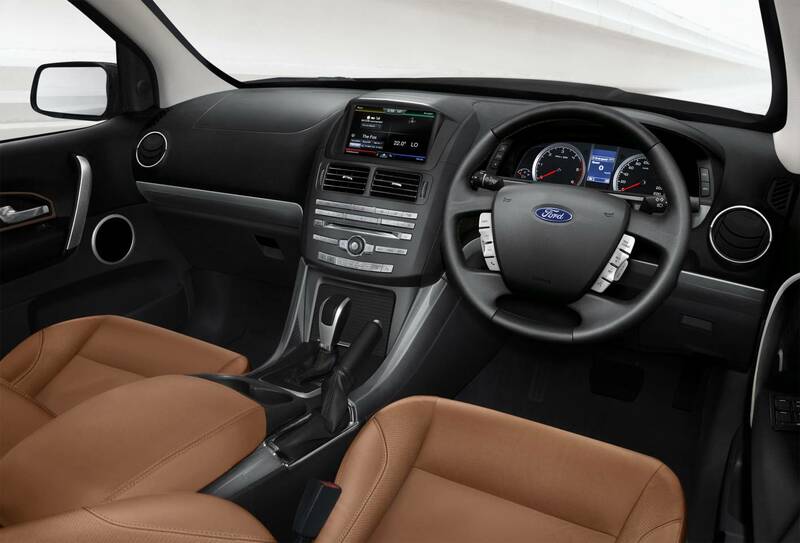 Yep, the new Territory will be the first model in Australia to showcase Ford’s new SYNC2 system. The SYNC2 program includes full connectivity to Bluetooth, SD card, and USB, and offers digital DAB+ radio functionality, voice control, and full iPhone or iPod integration. There’s also Wi-Fi capability turning the vehicle into a hotspot for all devices within the cabin. 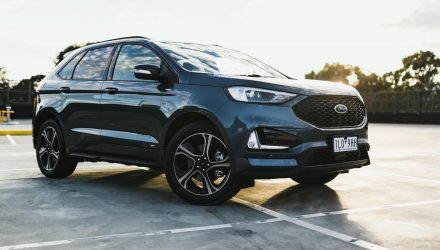 Ford has given the entire cabin a modern makeover in terms of design as well, with higher attention to detail, co-ordinated stitching, improved instrument cluster graphics, and new fabrics and leather for various models. Prices for the new range are yet to be announced. It will go on sale in November, along side the new Falcon.